You probably have a file manager app on your Android device, and it might well be half-decent (OnePlus has a good one preloaded). Now, Google’s building its own tool for the job, and it’s worth a try if you’re looking for more functionality in your file explorer. 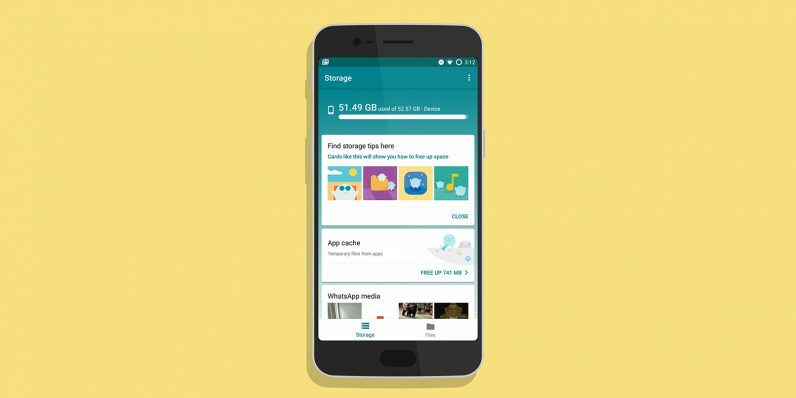 Files Go does what you’d expect, while also throwing in the ability to send and receive files offline via Bluetooth, and displaying handy cards to help you find large files, unused apps and other stuff that’s simply taking up space on your device. The app is presently in beta, and isn’t available worldwide on Google Play – but you can still grab the installer from APKMirror and try it out for yourself. It’s a neat enough app for most people’s needs, and hopefully will replace the other crummy file managers bundled on certain manufacturers’ phones. As Android Police noted, the lightweight app (it weighs in at under 10MB) is likely part of Google’s Android Go platform, which is essentially a streamlined version of the mobile OS designed for lower-end handsets. It remains to be seen whether it’ll be bundled in with Android or made available to everyone in the Play Store.